Bozarth is referring to the original Donald Ross green at 45th-ranked Hillcrest Golf Club, a three-time PGA Tour venue. Several years ago, a club executive decided that Ross’s green would produce more revenue as a wedding bower, situated as it was close to the clubhouse and parking for tin-can-festooned getaway cars. Dimly aware that golfers would still need a place to hole out before moving on to No. 10, the executive installed a new ninth green of dubious merit — a small, sticky putting patch fronted by a bunker and a stone wall. Ross promptly shifted in his grave. Since 17-½ holes falls just shy of the accepted standard for championship play, Hillcrest no longer evokes comparisons to Ross’s more-famous parkland courses, such as Chicago’s Beverly CC, Atlanta’s East Lake GC, and Rochester’s 51st-ranked Oak Hill CC, site of this summer’s PGA Championship. 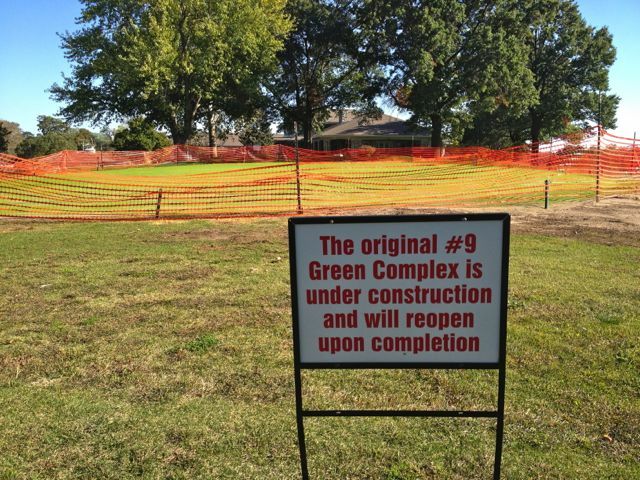 But Bozarth assumes, with logic on his side, that the restoration of Hillcrest’s once-great ninth hole will put his track back in the national picture. *The “other course” would be Tom Fazio’s 42nd-ranked Hallbrook Country Club, one of the midwest’s most challenging layouts and home course of Tour Tempo pioneer John Novosel, co-author of Tour Tempo 2: The Short Game and Beyond. Bozarth is a friend, so I know that his wink-wink, nudge-nudge is merely his way of acknowledging the incorruptibility of the Top 50 ranking. (It’s all science here at Catch Basin. A season’s supply of tees doesn’t even move the needle.) But he’s not crazy for supposing that Hillcrest will move up when the old ninth green is put back in play. That new fleet of golf carts won’t hurt, either. Top 50 on TV: Ninth-ranked Pebble Beach Golf Links swept defending champ Phil Mickelson off his feet today at the AT&T National Pro-Am. (Those rocks are slippery.) Meanwhile, the postman just delivered a book by Oliver Horovitz called An American Caddie in St. Andrews: Growing Up, Girls, and Looping on the [16th-ranked] Old Course. I enjoyed An American Caddie in page proofs some time back, but it’s possible that Gotham Books has trimmed it to appeal to the bridal-shower crowd. I’ll read it again and let you know.